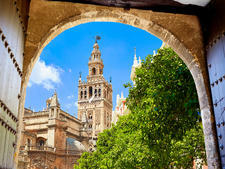 Seville, capital of Andalucia, lies on the mighty Guadalquivir -- one of Spain's longest rivers -- and is an enchanting city of leafy parks, mosaic-paved riverside promenades, winding medieval streets and grand squares lined with spectacular buildings and studded with fragrant orange trees. 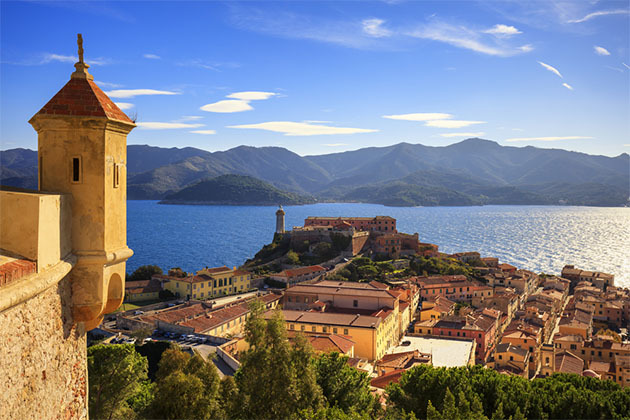 It also has a history that dates back 2,000 years and is displayed in a dazzling array of buildings from Roman ruins and Moorish minarets to magnificent Baroque palaces, Gothic and Renaissance churches and more recently constructed futuristic extravaganzas. For although it is proud of and eager to preserve its past, modern-day Seville -- which gained eight new river bridges, super-fast rail links and a vast international fan base after hosting the 1992 World Expo -- looks forward as well as back. The city has bike-sharing, a tram and underground metro links, as well as more high-speed train services and even an electric car program. A major upside has been fewer traffic fumes, more pedestrianized streets and cleaner buildings. 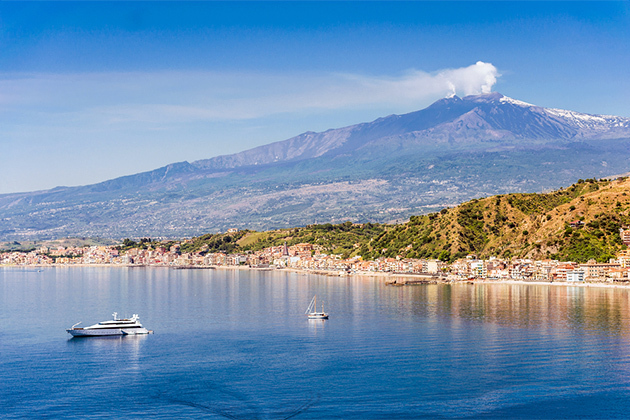 But that's not all that recommends this fabulous city. For us, what makes Seville really memorable is its quintessential Spanishness. Heartland of the flamboyant Flamenco and -- more controversially -- the bloody sport of bullfighting, Seville is also notable for the spookily spectacular religious processions which take place during Semana Santa (Holy Week), when living tableaux re-enact the Easter story, elaborate statues are carried from churches and sinister-looking white-hooded "penitents" process through crowded streets. A rather more joyful festival takes place after Easter, when the Guadalquivir's west bank plays host to the Feria de Abril (April Fair, which oddly enough is sometimes held in May). This weeklong funfest involves around-the-clock feasting and dancing. Then in June the locals deck the streets with flowers and whoop it up again to celebrate the feast of Corpus Christi. And if you love tapas, those tasty tidbits that go down so well with a glass or two of ruby Rioja, Sevilla (as the Spanish know it) will be your idea of seventh heaven. Most cruise passengers get to Seville on a day trip from the nearby big-ship port of Cadiz. Smaller ships can navigate up the Guadalquivir -- a fascinating journey past basking fishing boats, lush vineyards, cotton fields and olive and citrus groves. Another tip; join a cruise which stays here overnight if you can, as Seville is just delightful in the evening when the tapas bars which line its narrow streets fill with relaxed and stylish locals. Grab a glass of wine, chilled sherry or ice cold beer; whistle up a few plates of tasty local delicacies like Jamon Iberico, olives, salty anchovies and puntillitas (fried squid) and then lap up the atmosphere of this lovely city. If you're lucky enough to sail up the river to Seville you'll be parked at the quayside, a short and very pleasant walk away from the centre of town. Seville is an easy city to explore on foot provided you're reasonably mobile; just follow your nose along the river, or wander into its winding streets and you'll find a series of pretty neighbourhoods, each built around its own square. If you're on a big ship calling at Cadiz, you're about 60 miles from Seville and can take a motor coach tour or catch a train there if you don't want to stay put and explore Cadiz (which is also delightful and very accessible from the port). There is a small tourist office on site at the port and lovely downtown Cadiz is pretty much across a (busy) road. So my advice is don't hang around; choose to explore Cadiz or head off to Seville but whatever you plan to do, get going early to make the most of it. The heat, if you're visiting at the height of summer (in July or August), when temperatures can soar above 100F. You'll find some tree shade as Seville is a very green city, and the cavernous interiors of Seville's fine churches will also keep you cool. But if you're off walking do take water, a sunhat and plenty of sunscreen with you. Pickpockets are a concern in any major city and Seville is no exception, particularly as Spain has been in the throes of a financial crisis. Odd closing hours; many attractions are closed on Mondays and some bars close at 5 p.m. and reopen around 8 p.m. (remember, the Spanish like to siesta and then eat and party late!). Seville's station, Station de Santa Justas, is on Agenda Kansas City, about a 15-minute walk from downtown. 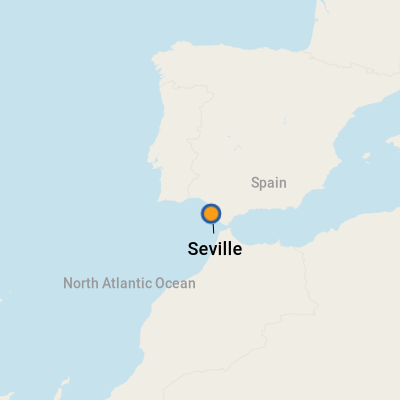 NB; If your ship is only in Cadiz for a day and you're heading off independently, do allow plenty of time to get to Seville and back comfortably before your ship sails. The official currency is the euro (for the latest exchange rate, visit www.oanda.com or www.xe.com). There are plenty of ATM machines and exchange bureau in town and you can definitely find them at the railway and bus stations. All major credit cards are widely accepted and foreign currency or travelers' checks can be changed at banks and exchange offices (cambios). If you have a Visa card, you'll find a global ATM locator at www.Visa.com. Seville is very much a Spanish-speaking city, and though many shopkeepers and purveyors of tourist services have at least a smattering of English it is not widely spoken. Take along a phrasebook or language app if you really want to click with the locals. In an emergency dial 112 from any phone to summon police, ambulance or fire services. Seville is THE place to enjoy tapas and the locals love nothing more than to spend an evening drifting from bar to bar, often standing at tall tables to enjoy a conversation over tapas washed down with beer, wine or sherry. Follow their example --and your instincts -- and simply stroll around the old town to find a tapas bar that takes your fancy. A small plate of tapas typically costs between E2 and E4; if you're hungry (or like that particular food so much you want plenty of it, ask for a media racion (a medium portion) or a racion (a full plateful). Recommended places for tapas include Casablanca tapas bar, on the river side of the cathedral (Tel: 954 22 4114 / www.bodeguitacasablanca.com ). It's open 7 a.m. to 5 p.m. and from 8 p.m. until 12:30 a.m (closed Sundays). Specialities include whisky tortilla, marinated monkfish, `fried milk' (a Spanish delicacy made from whey) and chestnut pudding. Bodeguita Romero (Haring 10, Seville; 954 229556; www.bodeguita-romero.com ) also has a good reputation. It's open noon until 5 p.m. and from 8 p.m. to midnight (not Sundays); oysters are a house speciality and tapas costs from 2 euro per dish. For traditional Andalucian cooking; Restaurante Modesto (Cano y Cueto, 5; Tel: 954 416 811/www.modestorestaurantes.com) is a good bet, as it has a lively bar and a rather fabulous dining room, its walls half tiled and half embellished with traditional Spanish artwork. There is also an outside terrace. Specialities include roast shin of lamb and fine Clams Villalua Marquis (prawns served with wild mushrooms), while Pastel Lemon Meringue (cake made with thin layers of sponge cake, lemon cream and meringue flambeed) is a pudding to write home about. Any little senoritas in your family will love the multi-frilled, flamenco dress-style children's craft aprons you'll see hanging in the shops (alongside full flamenco outfits if you really want to go over the top). Seville also has a thriving arts and crafts scene, so look out for finely-worked silver and leatherware and stylish hand-painted ceramics. You can also pick up one of the spooky 'penitente' figurines in any religious shop.